Israeli occupation police have decided to raise the number of its stations and security cameras in occupied East Jerusalem. The Palestinian Information Center (PIC) reports that, according to an official Israeli announcement, five new police stations will be opened in East Jerusalem as part of a development plan aimed at boosting security in Arab neighborhoods and imposing what was labelled as Israel’s sovereignty over the holy city. “Over the years, a large gap has opened between the western and eastern parts of the city in terms of policing, and that is the gap we want to fill with these new positions,” public security minister Gilad Erdan stated on Wednesday. “Our national sovereignty begins by exercising our sovereignty over Jerusalem,” he added. There are currently no Israeli police stations in Palestinian neighborhoods in east Jerusalem apart from in the Old City, according to a police spokesperson. The stations will be set up in the neighborhoods of Ras al-Amud, Jabal Mukaber, Silwan, Issawiya and Sur Baher, which has been often the scene of violent clashes between Palestinians and Israeli police forces since the outbreak of al-Quds intifada (uprising) in early October, last year. 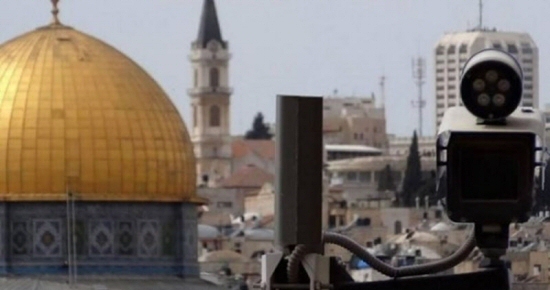 The police plan also involves the installment of hundreds of cameras throughout the holy city as part of a single system called “Jerusalem View.” These new cameras aim to provide more protection for Jewish settlers in east Jerusalem and monitor the movement of Palestinians in their neighborhoods, according to Israeli police.